Kitchen Orange Artica Coat - Womens down filled, poly rayon winter jacket. Fur is synthetic fur. This jacket is great for the cold winters. 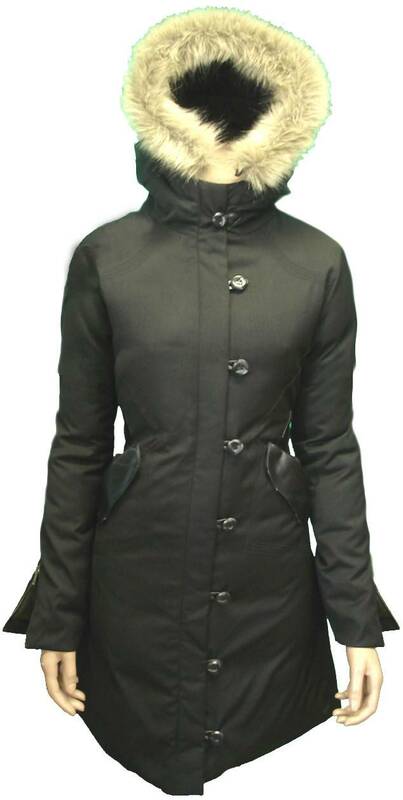 *** This jacket fits 1 size larger than our sizing chart it is recommended to go down a size. Fabric content: shell - 65 polyester, 35 rayon, lining - 65 polyester, 35 cotton, interlining - 40% duck down, 60% feathers.